We don’t want to leave all the “practical” suggestions until step six; otherwise, this study could begin to feel like you’re learning so much about what’s wrong that hope fades. Below are several suggestions that would enable your relationship with food to become healthier. Food is fuel. If you do not get adequate rest, you will be tempted both cognitively and physically to compensate by consuming more fuel. As you seek to express self-control, your efforts will be made much easier if you are not fighting through the fog of inadequate sleep. Metabolism arguments could be made for this, but motivational arguments are better. When you skip breakfast (a) you are beginning your day with a punitive measure, and (b) you are making yourself mentally weaker to resist temptation for the rest of the day. Enjoy a healthy breakfast, thank God for his goodness, and start the day mentally alert. Begin planning what you will eat. A budget is a good practice for your money; the less disciplined you are, the more it is needed. A food plan is a good practice if you’ve not relating well to food; the less healthy your relationship with food has been, the more a food plan is needed. A sample food plan chart is provided at this link. Here is some guidance on how to use it. Name: This is your chart. Own it. Make it fit your life. It is here to serve you, not for you to serve it. Write in foods you enjoy or are interested in trying. This is not punishment; it is a way to choose an enjoyable life that honors God and your body. Date: You don’t have to complete one of these every day for the rest of your life. Make several that work for you and alternate between them if you like. At first, it will be important to follow the plan closely. Once you begin to naturally enjoy living within the range of what is healthy, the guidelines of a written plan will become instinctual and the written plan will be less necessary. Calorie Information: Commit to stay within your range. In order to determine your healthy calorie range, first determine your healthy weight based on age, gender, height, activity level, and body type. Your physician can help you identify your healthy weight range. If calorie counting has been a pronounced part of your restricted eating, then please skip this part of the daily food plan. For women, multiply your healthy body weight by 9 and 10 to get your healthy calorie range. For men, multiply your healthy body weight by 11 and 13 to get your healthy calorie range. Note: These numbers are taken from Love to Eat, Hate to Eat by Elyse Fitzpatrick. They represent the range for a sedentary person who is seeking to lose weight. For a more specified gauge for a healthy calorie range based upon your age, gender, height, and activity level visit this site. Meals: Eating smaller meals and allowing for healthy snacks is good for your digestive system, optimizes your metabolism, and prevents you from experiencing intense hunger (see below). Planning your meals also helps prevent you from buying binge-tempting or plan-busting foods at the grocery. Food and Amount: Whether you’ve been over-restricting or overeating, “healthy” will feel odd when you write it down. It won’t seem “practical” or “realistic.” Don’t allow those feelings to derail you. It is normal to have an uncomfortable acclimation period to what is healthy when haven’t been eating well. Extremely hungry, lightheaded, headache, no energy. Still overly hungry, irritable, stomach growling, constant thoughts of food. Hungry for a meal, sensing hunger, thinking about food and what would be good to eat. This is the ideal hunger level for eating a meal. A little bit hungry, a snack would do, or making plans for eating pretty soon. Neutral: don’t feel hungry or full. A little bit full, not quite satisfied, have not eaten enough. Satisfied and comfortably full, could get up and take a walk. This is the ideal target for conscious eaters to stop. A little too full, happens sometimes, wait until hungry again to eat, but not too long. Overly full, uncomfortable, like what happens on holidays, try to learn from this. Extremely full, painful, likely after an episode of emotional eating or binge eating. Very physically and emotionally distressing. Feelings: Pay attention to how you feel before, during, and after eating. If you find you want to eat for reasons other than hunger, be honest about that. Name what you’re experiencing and find ways, other than food, to resolve those emotions. Talk about these experiences with the friends, pastor, or counselor with whom you are going through this study. Purge: This column is for accountability for purging. If you purge after eating, put “Y” for yes. If you are tempted to but resist, put “T” for tempted. If thoughts of purging do not emerge, put “N” for no. If your struggle with eating does not include purging, you can ignore this column. Victory is not a changing number on a scale. Victory is every meal that honors God by caring well for your body. Your goal is not a number, but a relationship – a thriving relationship with God, an honest relationship with others, and a compassionate relationship with yourself. 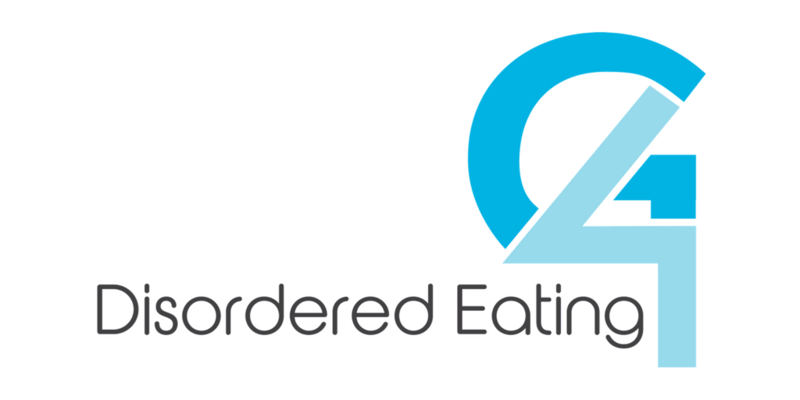 If this post was beneficial for you, then considering reading other blogs from my “Favorite Posts on Disordered Eating” post which address other facets of this subject.